The wedding season is here. If you have a wedding ceremony soon in your home or in friend’s home, then it involves a lot of wedding planning. 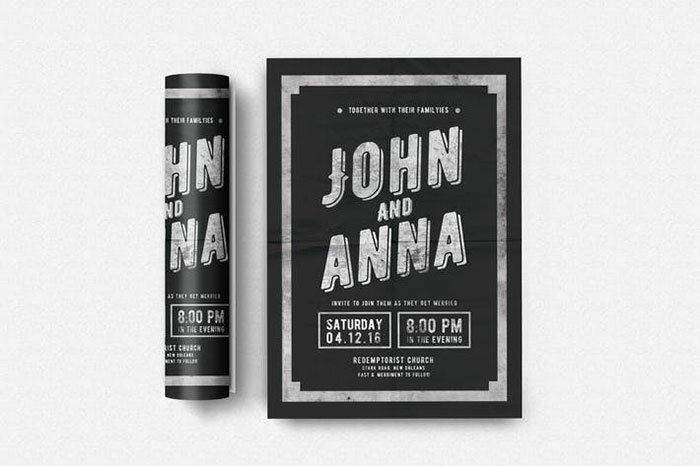 One of the preliminary stages of the planning is to do with the wedding invitation. 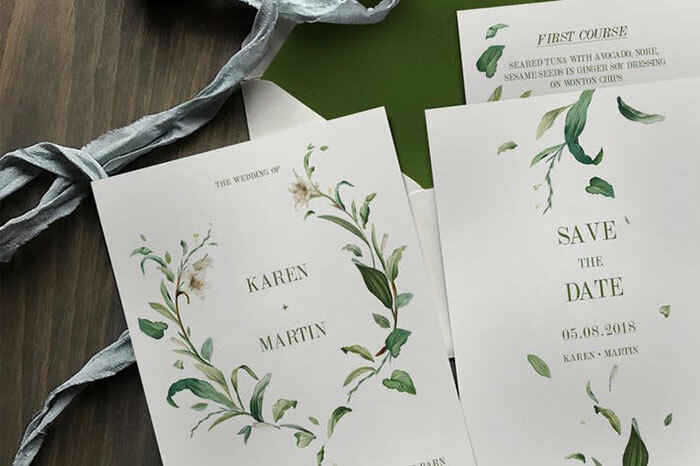 To help you along the way, here are 20 PSD & AI Typographic Wedding Invitation Templates we believe will make your big day stand out! 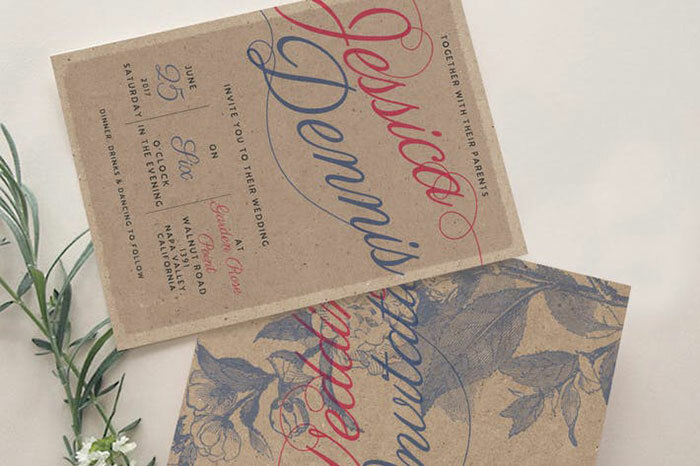 Have a wonderful rustic wedding with this well crafted, easy edit, vintage hand lettering invitation. Weddings are surely the best moments of life. For inviting your loved ones, it`s a great idea to create a beautiful professional wedding invitation video along with an invitation card. 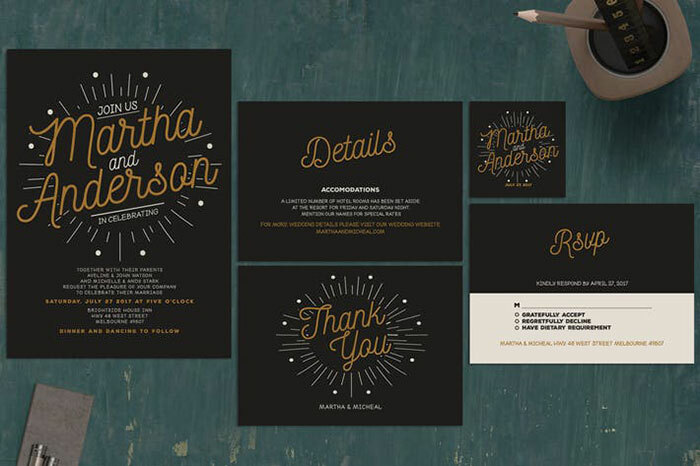 With cute and modern vector design, you can easily create an elegant and sophisticated theme. 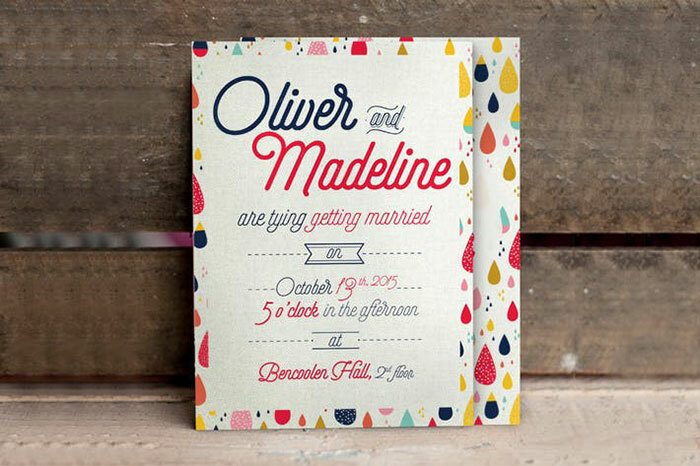 The package itself contains: wedding invitation, RSVP, honeymoon wish card with 2 color variation. 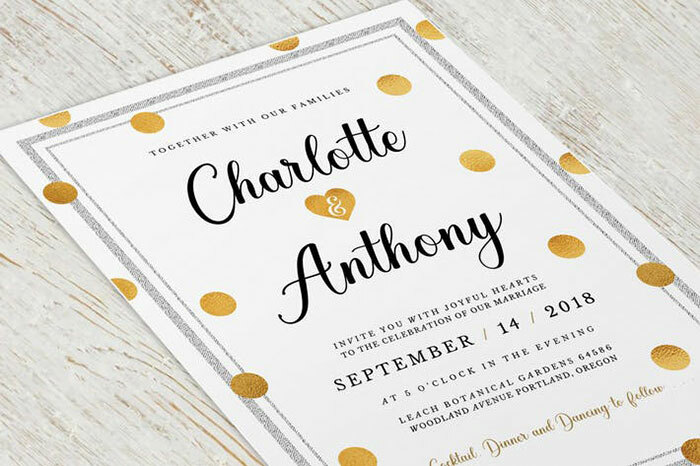 This is one of the best templates you can use for creating high quality and perfect wedding invitation. This well crafted set comes with color highlighted & well arranged layers so you can edit the whole information right away. A tutorial file to guide you through the editing process is also included. 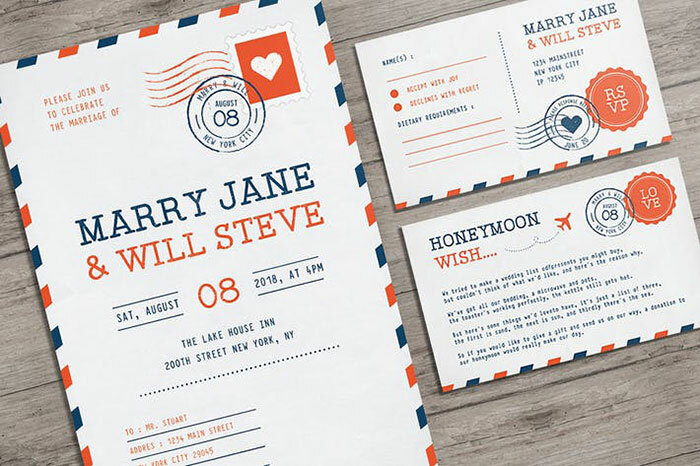 If you want wedding invitation that your friend and family would remember and hold it forever. 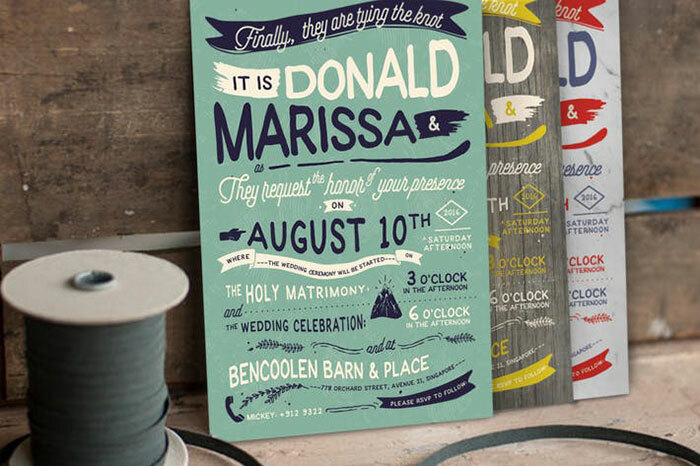 Wedding invitations customized to match your wedding`s style! 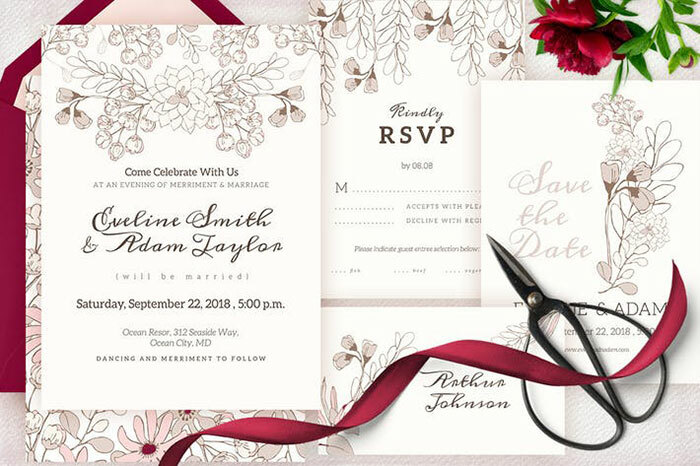 Invitations perfect for a Elegant look. 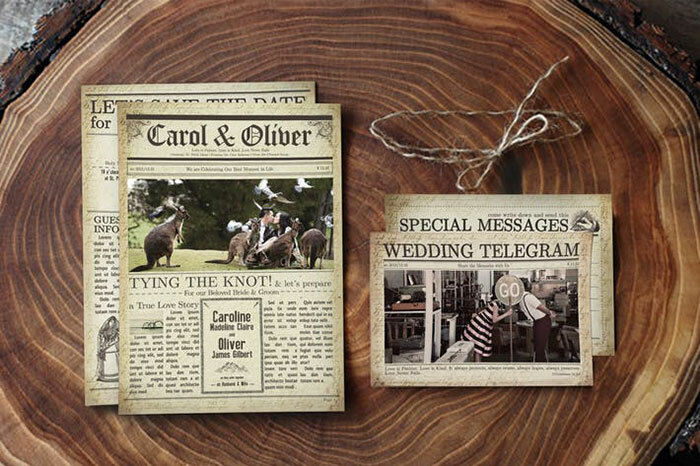 A complete set of rustic design and vintage floral illustration specially created for your wedding celebration. 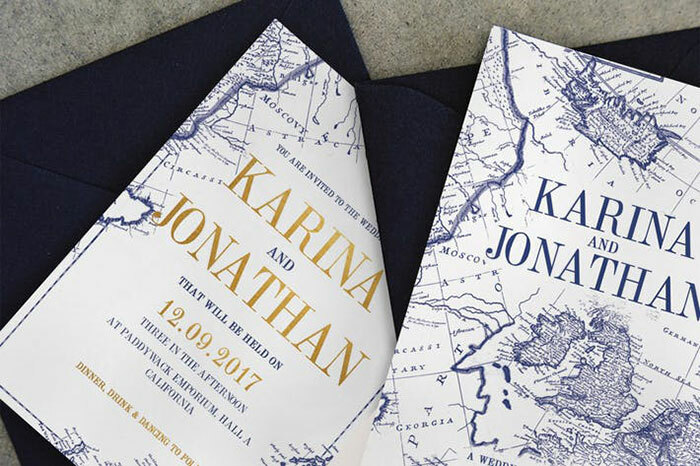 You can aware all required details like the RSVP card, venue map, invitation, even wedding or pre-wedding photos, etc to the guests in a modern way. 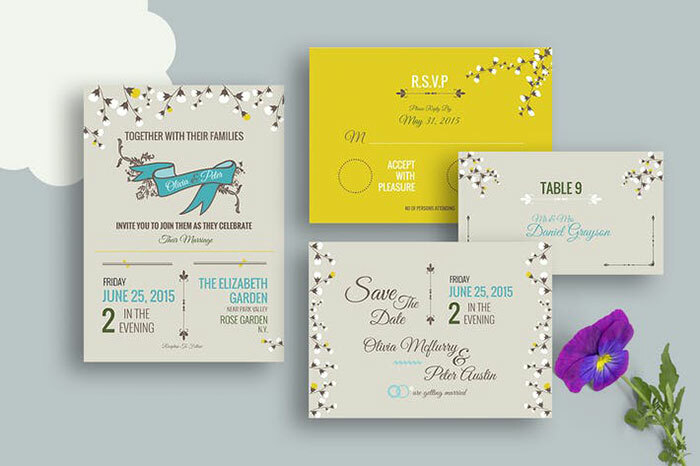 These templates can be used for wedding, birthday or baby shower party. Just change the text and structure as you need! 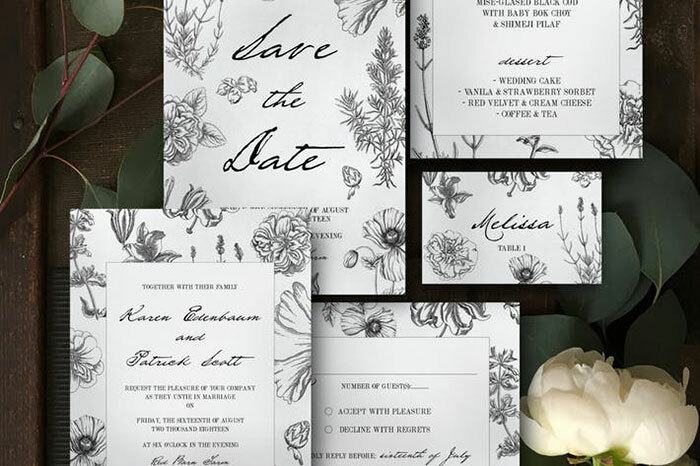 A rustic, botanical themed wedding invitation pack, best for your elegant wedding ceremony! Looking for something less traditional? An uprising trend of graphic and geometric visuals have been largely emphasized into a more contemporary wedding theme. This style is perfect for a pattern-loving couple, with a bold and edgy personality. 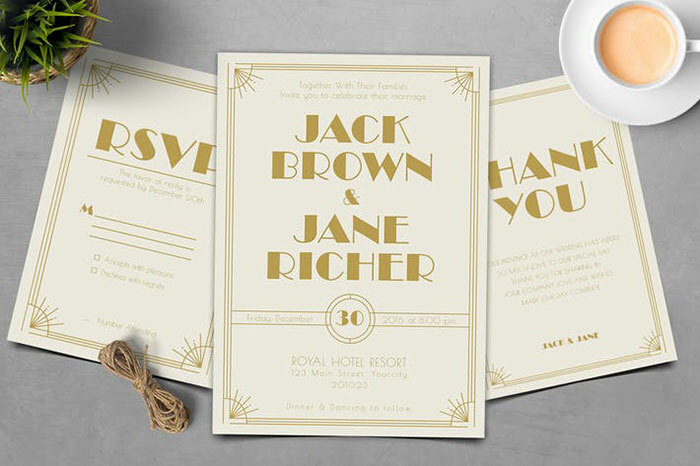 This theme has been widely inspired by the art deco look with a minimal twist on shapes, lines and colours. 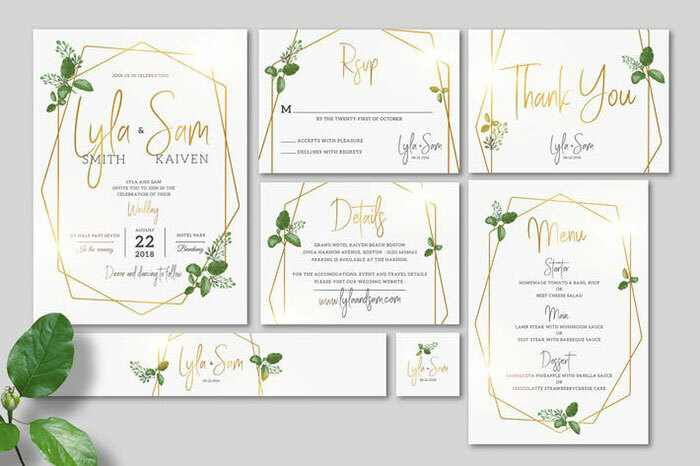 This is perfect for couples looking for that refreshing unique look to their wedding, creating a tranquil and exotic vibe for guests when receiving the exciting news. 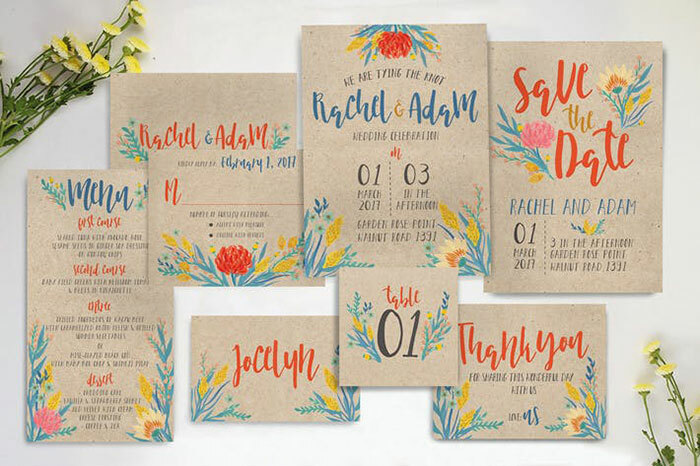 This is an invitation package consists of 3 different pattern of wedding invitation and thank you card that you can easily customize for your wedding celebration. You can also use the pattern to make other creation! 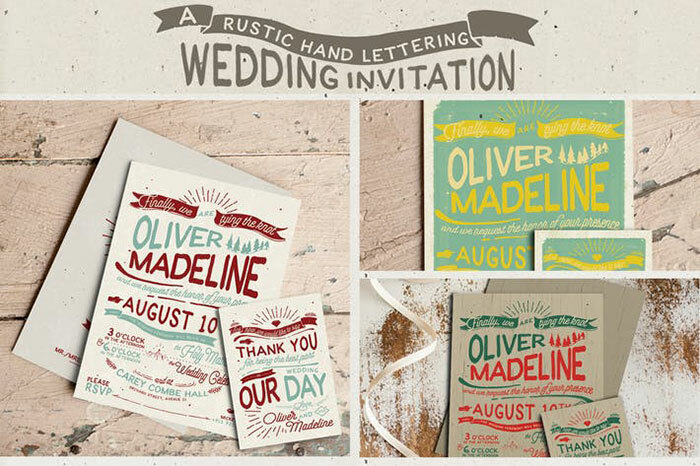 Create a fun yet vintage wedding invitation with the rustic hand lettering wedding invitation design. There are 3 different color palettes available for this style & each palette contains both the invitation & thank you card. 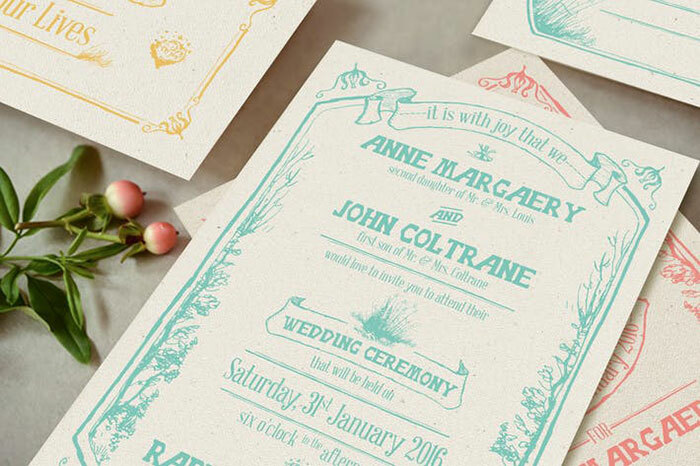 Have an unforgettable wedding with the complete pack of this whimsical forest theme hand drawing set. 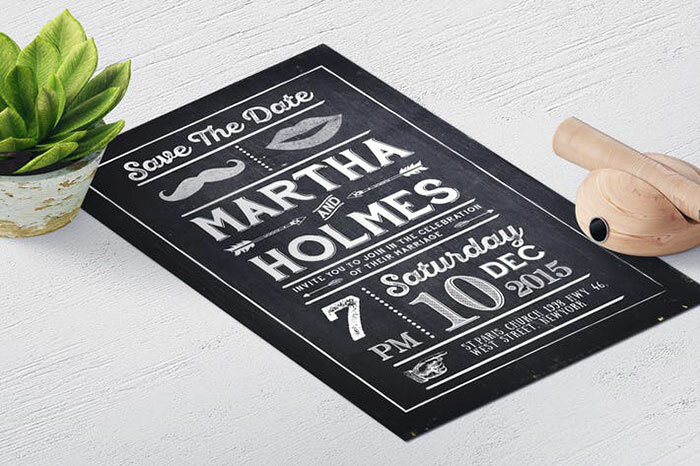 Send your guests elegant invitations. 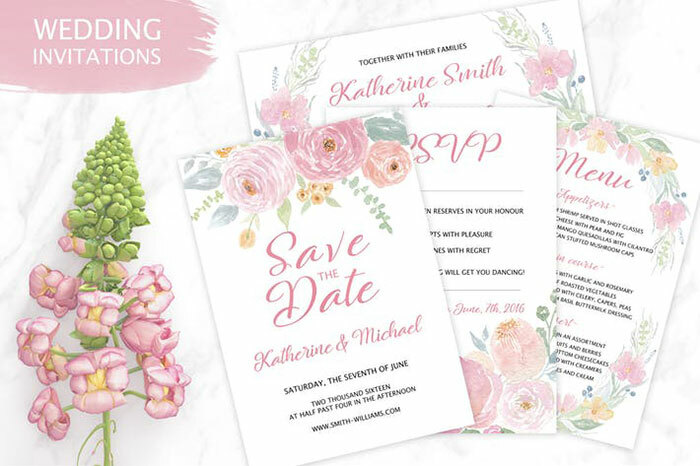 Here`s a summer set of floral illustration in a sweet, bright color tone and rustic paper style for your wedding celebration!